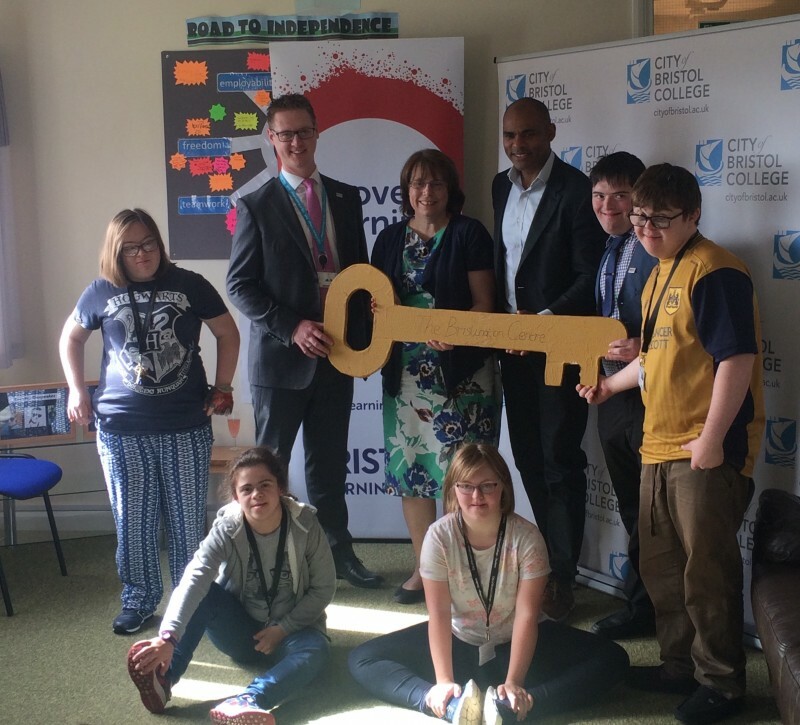 Today (29 September) Mayor Marvin Rees opened a new residential training facility which will support young people with Special Education Needs and Disabilities (SEND) to live independently as part of their course at City of Bristol College. The centre, based in Brislington, is part of an initiative known as Project Rainbow which has been developed in collaboration between City of Bristol College, Bristol City Council, Bristol parents and the young people. The new facility has seven bedrooms to accommodate students on a flexible basis ranging from daily access to the house and overnight visits through to weekly stays. There is an additional room for sleep-in members of staff. The site spans over an acre of grounds with a fully-fitted learning kitchen, multi-functional living room, laundry room, and a garden with sensory pathways and quiet areas. An eco-friendly outdoor classroom will be developed in the future. “Our aspiration as a Learning City is for Bristol to be a place where everyone gets a good start in life and no student is left behind. This project is a great example of how working together we can improve the opportunities available to our young people. Students are all part of the Progression into Independence course at City of Bristol College which started in 2016. The key focus of the course is to teach young people with SEND the skills needed for independent adulthood. Life skills such as maths and English, independent travel, problem solving, personal safety and care and money management will also be taught. The course will introduce students to a variety of career paths such as IT, horticulture, retail, catering and hospitality and the focus is on all aspects of adult living including socialising with friends and living in a community. Students will be encouraged to take part in activities such as arts and crafts, music and media projects, as well as sports in partnership with Bristol Rugby. “We are focused on enabling students to develop the skills and behaviours they will need to progress into employment, further study or independent living. Opening the Brislington Centre is a new development to support a group of young people to further improve their independent living skills. Our staff will be on hand to offer just the right amount of help, to ensure the students are adequately stretched to make progress in their own learning. Thanks to the partnership between the College and Bristol City Council, this is an exciting new chapter for us, the city and indeed the young people who are taking up the residence at the Brislington Centre. We hope this is something we will expand to include more of the city’s young people. “The learning is individually planned for each student and our staff are committed to developing students to develop the skills they need to lead independent lives. This will cross both personal development as well as links to employers and employment. “Each student’s timetable has been personalised depending on the strengths and needs of the person, and students will also be undertaking work placements. Project Rainbow has benefited from grants from educational charity ASDAN. Refurbishment of the building was paid for by Bristol City Council. Students using the facilities will have the majority of their fees paid for through the Education and Skills Funding Agency.